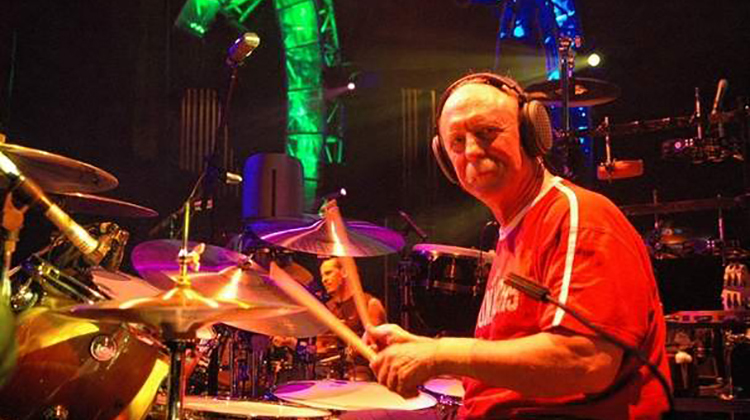 Butch Trucks, a founding member of The Allman Brothers Band, tragically died the night of January 24 in West Palm Beach, Florida. His wife, four children, four grandchildren and all of the Allman Brothers Band, their families and Road Crew survive Butch. The Trucks and Allman Brothers Band families request all of Butch’s friends and fans to please respect our privacy at this time of sadness for our loss. Butch will play on in our hearts forever. Farewell Butch. My Condolences to the Trucks Family. Thanks for all the years of listening pleasure Butch!! God Bless you brother. You will be missed. God Bless you brother, thanks for all the wonderful music. peace. Great respect and love for a major musician and achiever. Your memory is a blessing to us. and The Music will live forever…May You Rest In Peace. Incredibly sad. Hope Les Brers keeps his music alive. Condolences to the Trucks Family….You’ve given us many years of beautiful and inspiring music Butch…Your playing will continue in our hearts forever! Thank you for 46 years of music and memories,a pei e of my heart went with you! Just unbelievable. Such a tradegy. Farewell Butch, I’ll be looking forward to see Les Brers bands final performance(in honor of Butch of course) at Peach Fest!!! We saw Butch play with Les Brers late last year at the Paramount Theater in Rutland, Vermont. A sad farewell to this Allman Brothers original.